We have special pricing for our corporate customers! 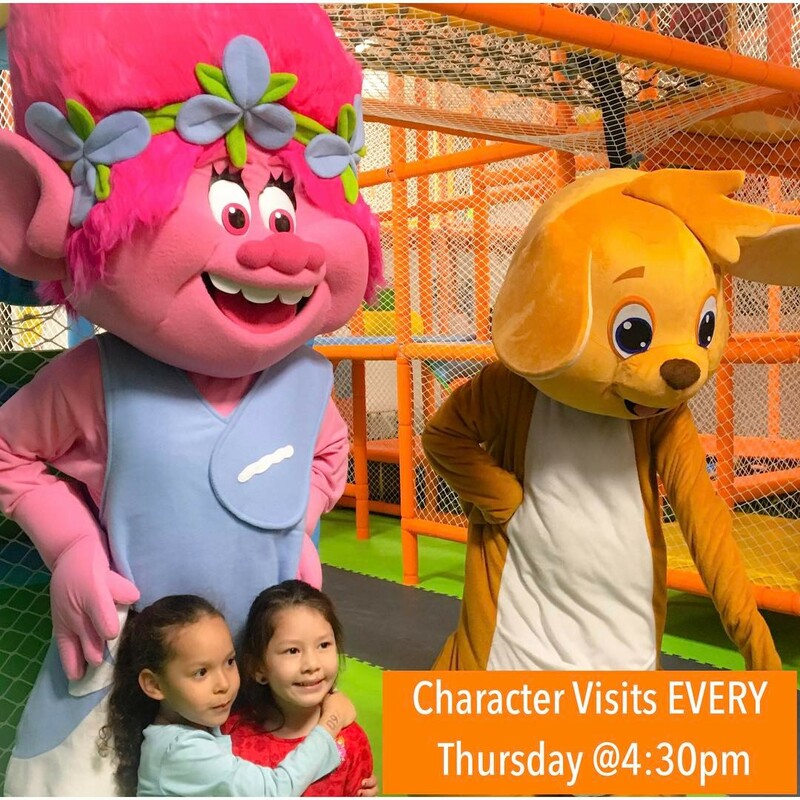 Visit a new character every Thursday at Kangamoo Indoor Playground! 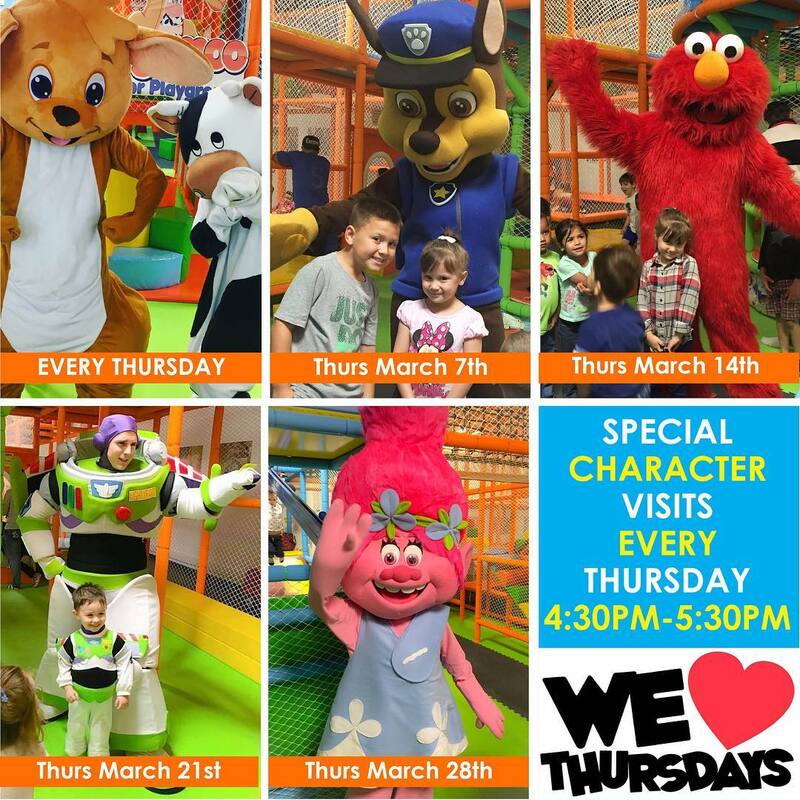 Mega Indoor Playground for kids ages 1-10. A zipline, 2 trampolines, 7 slides, a spider climb, a separate toddler area, reading nook, arts & crafts corner, Mommy & Me nail station! FOR PARENTS: free coffee, tea, WIFI, FREE massage chairs, elliptical machine and a walking track. Don't forget your socks Kangamoo is a socks-only facility!